Last fall I wrote a post called "Why We Said No to the Measles Vaccine." In it, I explain how according to the CDC's own data, vaccinating your child with the MMR vaccine carries a higher risk of complication than catching wild measles. As a result, we are not choosing the MMR vaccine for our children at this time. Most people who get mumps (especially children) recover fully with no complications. Once you contract wild mumps, you will have immunity for life. Except for the very rare chance of encephalitis (risk: 1 in 10 million infected people), mumps is not deadly. Common symptoms of mumps are fever, rash and swollen saliva glands. In teens and adults, mumps symptoms may also include orchitis (swelling of the testicles) or oophoritis (swelling of the ovaries). The biggest argument we hear about complications from mumps is the possibility of sterility following a a case of mumps. While the CDC recognizes that this is a possibility, it is so rare that I have been unable to find data on how often this occurs. What is particularly noteworthy about this is that they have data saying your chance of death from mumps-related encephalitis is .00001% (1 in 10 million) but no data on sterility - which suggests to me that the level of rarity may be similar. As mentioned above, other complications of mumps might include encephalitis (1 in 10 million) or hearing loss (about 1 in 100,000). Mumps, however, is not serious and while uncomfortable, you have a 99.99% chance of coming through a mumps infection totally complication-free. Let me take a moment to be clear on where I am getting this data from. This is data from the CDC who is the generally recognized authority on these matters in the USA. These are the universally recognized complications from the MMR vaccine. Please note, these risks as quoted on the CDC website are per-vaccine-administered. Risk factor percentages per person are based on a recommended course of 2 doses of the vaccine. If you only complete 1 dose, you risks are reduced by half. If you need additional boosters beyond the first two doses, your risks will be higher. 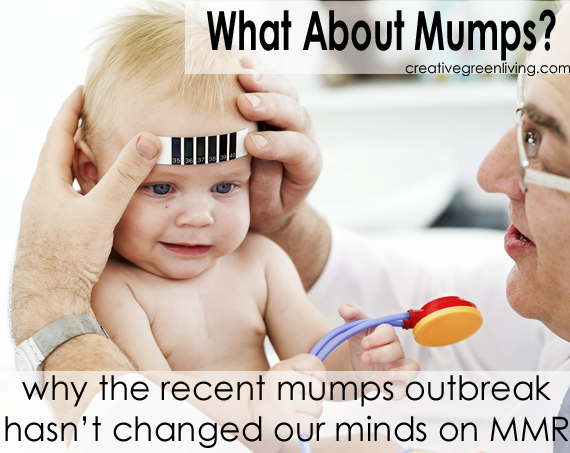 At the end of the day, we need to weigh the risks of a mumps against the risks of the MMR vaccine. Because mumps is a relatively complication-free disease and the vaccine is really designed to prevent you from experiencing the discomfort of mumps rather than prevent you from dying of mumps, we will also compare chances of discomfort in both situations. *This data is based on average number of mumps cases which appear in the USA each year. The winter/spring 2014 outbreak is centered in Ohio. Your chances of catching mumps if you currently live in Ohio are greater. The .84 in 1 million statistic assumes all persons who catch mumps will experience some degree of discomfort. In any given year, your risk of catching mumps is less than 1 in 1 million. At the end of the day, your risk of even catching wild mumps is less than half of the risk assumed by getting the MMR vaccine. In order to suffer a serious complication from mumps, you need to win the lottery twice - once to catch mumps and again to be one of the rare few to have a complication. Your chances of a serious complication from the MMR vaccine are 200 times greater than your chances of a complication from mumps. So what does all this mean for me and my family? Based on the mathematical risks outlined above, we believe that our children would be put at greater risk of medical complication by getting the MMR vaccine than they would be if we left them unvaccinated and at risk for catching measles or mumps. We continue to be confident that leaving the MMR vaccine off of our family's personalized vaccine schedule is still in the best interest of our children. 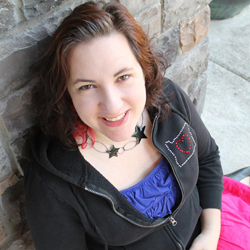 Carissa used to think that people who didn't vaccinate their kids or who ate organic food were elitist hippies. After the birth of her son in 2010, she and her husband used their research backgrounds to learn more about ways in improve and maintain health in children and as a result chose to selectively vaccinate their son, moved to an organic whole foods diet and stopped using plastic in their kitchen. To learn more about some of the changes they made on their journey toward better health, check out her posts on health & beauty. Our blog newsletter offers the convenience of email delivery but only goes out once or twice a month. Interesting. I can see why you would choose not to get it. And I was surprised to read that sterility is so poorly documented since this was one of the reasons my ped gave me to convince me to give my son the mumps shot sooner rather than later (we follow an alternative schedule as well). To be fair, I think you should also include risks associated with contracting rubella and measles in these calculations since MMR protects against those too, although perhaps the chances of contracting those are so slim they are not worth including? Even Dr. Sears looks at all the evidence and concludes that the risks of not vaccinating are slightly greater than those of vaccinating. Of course, we should keep in mind that the chance of contracting these diseases is so low precisely b/c so many vaccinate. If far fewer parents chose to vaccinate, the risks could drastically change. Ethically, I do think it is important to consider the public health perspective. While I feel obligated first and foremost for my own child's health, I also consider how my actions affect others. There are many children who cannot be vaccinated, and our decisions to vaccinate help protect them (they are also usually at greater risk of complications). If I had an immuno-depressed child, I would certainly hope that others would help protect them. Actually according to govnt morbidity statistics, all of these diseases vaccinated against declined about 90% years before its vaccine was available. I'm on my phone so I don't have it handy to share but a simple search will find it and the ones I've seen have government sources listed. Its not BC of vaccines these diseases are so rare, its bc hygeine improved, access to water and food improved. Vaccines are well....just here. They haven't done anything and never will. I do understand that a lot in this debate is about who you choose to believe. But as long as we're citing the CDC, here is an article that includes the CDC's own views of how disease rates changed with vaccination. Great comparison! When one factors in the government's own admission that only 1% - 10% of vaccine reactions are actually reported to VAERS, the risk of the vaccination increases exponentially. In the end, we must all do what we feel is best for our families and not vilify those those who do differently. A quick study into herd immunity makes it clear that the US has been at about a 45% vaccination rate for decades with no major increase in disease (with a childhood vaccination rate above 95%). And those coming down with measles and mumps now? Over 75% are fully vaccinated. Also, if you spend time on the CDC website, you will see that there is a way for virtually everyone to be vaccinated should they choose. There are very few exceptions such as certain cancers and and currently undergoing chemotherapy. There are vaccination protocols for the severely immunocompromised including those with HIV and AIDS, autoimmune disease, and many allergies. The "for the good of the herd" does not hold much weight. And how can one be "dangerous and infections" if one does not carry the disease? The CDC also advises on the topic of frightening mumps, that if mumps is suspected, the sick person should remain at home until well to avoid infecting others. If we all stayed home when we were ill for anything, vaccine preventable or not, we'd be a much healthier society. It's just common sense. If I'm not sick and haven't had a virus injected into me for me to carry or shed, how can I make someone else sick? The fact you seem to forget is the risk you put the older people,especially with health problems can get Shingles from the kids around them or even exposed to them that have Mumps. It can be a REAL problem for them and land them in the hospital. Shingles is actually caused by the chickenpox virus rather than the mumps virus. Speaking of chickenpox, though, It is recommended for adults who have had chickenpox to expose themselves to children who have a current chickenpox infection to keep their immune systems active against the virus. Part of the increase in shingles cases is that so many children are getting vaccinated for chickenpox instead of catching wild chickenpox that the older generations are unable to be re-exposed except through vaccines. If an adult has had mumps, they have lifelong immunity and are not at risk for a secondary disease as is the case with the chickenpox/shingle link. "If I had an immuno-depressed child, I would certainly hope that others would help protect them." You are assuming, as most people do that vaccines are effective at what they are meant to do. It is a big assumption. We would do well to research all the studies of vaccine efficacy with an open mind. I think the best thing I can do to help immuno-depressed children is keep my family healthy through healthy food choices, avoid the medical profession as much as possible and spread the word that the body is designed for health and if we respect the design by not injecting or eating toxins, and helping eliminate the toxins of our industrialized society, we will all be a lot better off. Great article! I agree completely! First let me say that my wife and I have made the decision to abstain from vaccinations for our little girl using a similar logic structure. As for the math you've undertaken ... you might want to base your infection rate assumptions on the unvaccinated population. While this ignores the efficacy issue, it certainly takes a more accurate and logical approach to the risk of infection. For instance, for measles, about 300 cases (80% of which are in unvaccinated individuals) occur in the US each year; so about 240 cases in a population of about 40,000,000 unvaccinated peeps (this is a conservative 13% rate; it's likely more like 35%, but this number has been hard to find). So the chance of catching measles in the US is roughly 1 in 165,000 for unvaccinated versus 1 in 1,000,000 for the general population. Measles also carries about a 1 in 1,000 chance of serious complications and/or death. Therefore the chance of something very bad happening from wild measles is roughly 1 in 165,000,000 (morbidity [1 in 165,000] X serious complication/death risk [1 in 1,000]). This is as opposed to a 1 in 30,000 chance of something pretty bad happening with the vaccine. About 1,500 cases annually in a population of 40,000,000 unvaccinated; 1 in 27,000 chance of infection. Serious complications/death in roughly 1 in 10,000 cases (I draw this number from here: http://www.cdc.gov/vaccines/pubs/pinkbook/mumps.html). So an overall wild mumps risk factor of about 1 in 270,000,000 versus a vaccine risk rate of roughly 1 in 30,000. So still, a very big difference, but not quite the 1 in 100 billion you arrived at. So you selectively vaccinate...would you mind sharing what you did vaccinate for and why?